If you are looking for a comfortable and attractive flats, this offer is a good alternative. A canvas that can be used as a shoe, very appropriate for the weather and enjoy the most flirtatious of the House. By buying this product you can collect up to 120 loyalty points. Your cart will total 120 points that can be converted into a voucher of 0,96 €. Batilas has managed to unite two ideas in this flats, cheerful, youthful design with a perfect fit. Available in an extensive size, so can wear them, both moms and the kids. - Navy, combined with red and white tie with a lively combination. -White, combined with blue and red, for use with most summer clothes. The exterior and interior of this flats, is 100% breathable cotton canvas. The template is also a tone cotton canvas, lightly padded for comfort when walking. The floor is rubber Vulcanized, flexible and very durable, it is also completely non-slip. The toe is rounded to give more comfort to the tread. He wears a trim around the flats, which harmonizes the combination of colors, with tri-color tie on the instep. 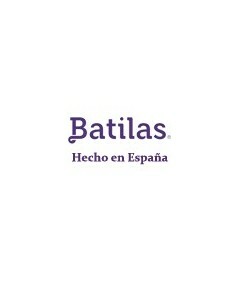 Manufactured in Spain by Batilas. Walking comfort is essential. With this flats you will notice the maximum comfort and if you also have in mind its design and colors so that can be used, do not hesitate, this is the dancer you were looking for.